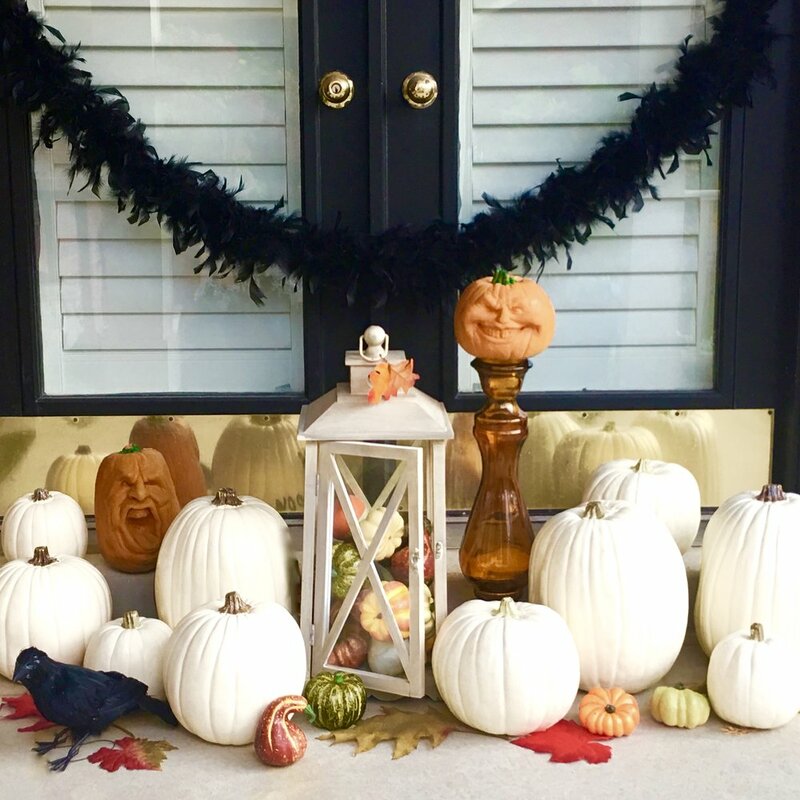 such a fun time of year for decorating.. I made these witches years and years ago with some scrap plywood and a jigsaw.. they're martha stewart's and I still get comments on them every year I put them out.. this particular year I bought a fog machine and put it in the bottom of a black planter along with a string of orange halloween lights.. put an orange lightbulb in the outdoor light, zap-strapped a dollar store broom on one hand and hung an old lantern in the other.. the effect is wonderful, particularly when I snap a glow stick in the lantern! it's a bit of a trick getting a picture of the virginia creeper on our fence.. when it's juuust right it rains and everything ends up on the grass, but this year I got it! another one of our neighbours near the beach house.. all the ginger breading on this century-old victorian just suits halloween doesn't it? probably haunted..
aren't they fun? just like blue christmas decorations.. I say why not? who says all the color is on the east coast? looking good vancouver!